This picture was sent to me this afternoon (22/10/12) and it’s significant. It was taken by Elias, one of the Keepers Zambia Foundation field staff, on his way back from the field on Friday (19/10/12). This is one of the retailers that Elias and his colleague, Justina, have trained. 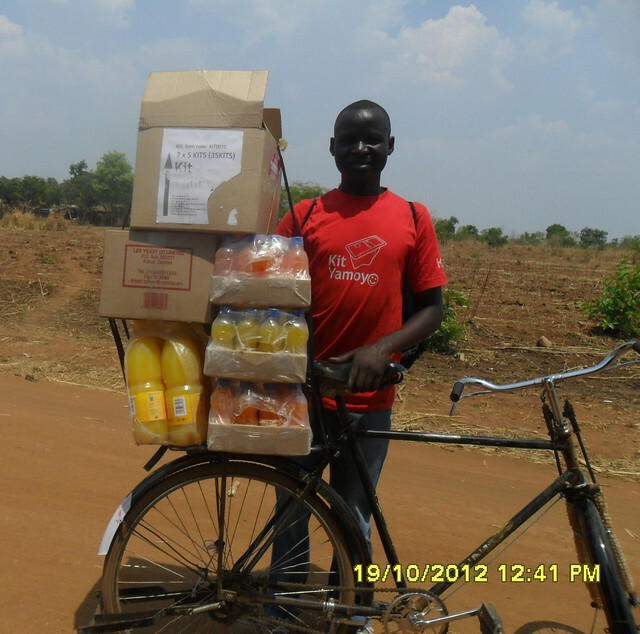 He’s visited the Coca-Cola wholesaler in Katete town and is on his way back to his village. 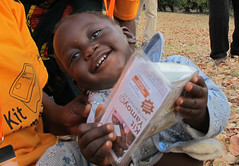 The box on the top contains 35 of our Kit Yamoyo, anti-diarrhoea kits, which he has bought with his own money. When he sells them he will make a 35% profit. If he sells these and the demand its sustained in his community, he will buy some more and we will have established a supply chain of essential, life saving medicines where there aren’t any and we will have done this without having to invest in a single vehicle ourselves. 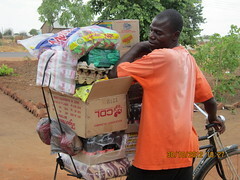 And the profits made in the process are made by people in the same remote villages we are serving. This is the first evidence, albeit photographic, that the syphon is starting to work. What syphon? This syphon. I am so pleased. It’s taken a while to get here. Such a long journey – what an amazing photo – Congratulations!! I laughed out loud at the ‘sucking diesel whilst syphoning’ story – I did the same with stagnant fish tank water at the weekend; although I’m sure diesel was far worse!